In aviation SMS, you analyze risk in order to identify how a particular issue affects safety. Based off of your analysis, you can assess the safety issue, thereby ranking the level of risk and understanding what, if any, actions you need to take on the issue. What the issue in question is – is the reported issue a hazard, a negative outcome, etc. The chances that the issue will happen again. The more information you have at your disposal when analyzing risk, the better. Shortfall analysis (used to identify potential corrective actions). An actual negative outcome (“water spilled on primary server, causing it to malfunction”). How you analyze risk depends quite a bit on what was reported. The hazard occurrence will be your starting point for understanding the issue. A condition that arises from identifiable mechanisms (objects, behaviors) that occurred earlier in the narrative. The reported issue may or may not have an identifiable hazard. In cases where benign issues are reported, you don’t really have a “dangerous condition” to identify. Other times, the reported issue may be a proactive identification of concerns before hazard occurrence. In this case, you will need to make your best guess at what hazard WOULD HAVE occurred had the issue not been proactively identified. Finally, sometimes the reported issues will focus on a negative outcome and provide no details about the hazard occurrence that lead to those outcomes. In this case, you will have to speak to relevant personnel to get more data about what happened. In our example scenario, the hazard is when ground crew started deicing while aircraft door was open. For more information about what a hazard is and how to identify it see the resource below. After identifying the hazard, you need to identify the most likely negative outcome that the identified hazard can lead to. As discussed in the last section, the reported issue may already have a negative outcome. In this case, you don’t need to perform further analysis on the negative outcome because the issue reporter already provided it for you. If a negative outcome did not occur, such as in the event that employees identified the dangers before the negative outcome, you will need to identify what the most likely negative outcome of your identified hazard is. An integral part of risk analysis is analyzing the issue for root causes. Root causes are the existing conditions and behaviors (i.e. mechanisms) that conspire together to lead to hazard occurrence. Another way of saying it is that root causes play a “causal” role in hazard occurrence. You should document your root causes, such as via classifications, for later data mining. Contributory factors are similar to root causes, but whereas root causes directly result in problems (i.e. they are “causal”), contributory factors are simply other factors that may intensify or “speed up” the transition from root causes to hazard occurrence. In both cases, these factors were not “causal”, but they certainly contributed to the hazard occurrence and negative outcome. You should document your contributory factors, such as via classifications, for later data mining. You will use this analysis to decide on an overall severity for the issue during risk assessment. Review existing risk controls that are used to mitigate this negative outcome. Based on this analysis, you should have a good idea whether this negative outcome is frequent, somewhat common, rare, etc. 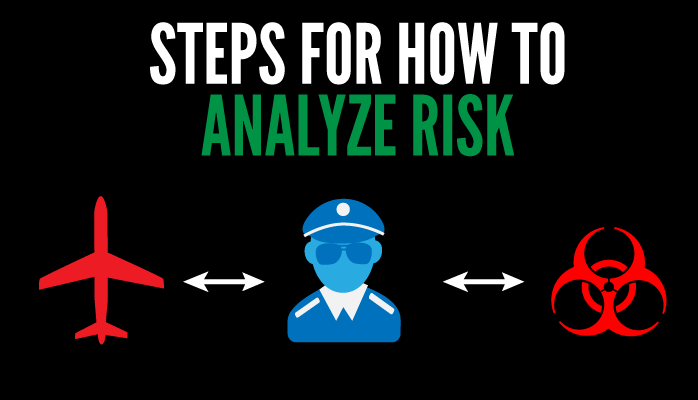 You will use this analysis during risk assessment to assign a likelihood level to the issue.